The wallpaper was part of a set hand painted in the late 18th century by an anonymous artist, and originally used in a chateau in France. The sweeping panorama depicts a nautical theme, with fishermen tending their nets on shore, and ships plying the sea in the distance. The colors are rich and saturated, age having only deepened the intensity. Eventually the set found its way to America, where because of its large scale, it was divided into two sets. One half was purchased by collector Electra Havemeyer Webb, who hung it in one of the early houses she had moved to her husband’s family land to form the Shelburne Museum, intending to evoke a fantasy of a rich sea captain retired to the very un-nautical environs of Vermont. 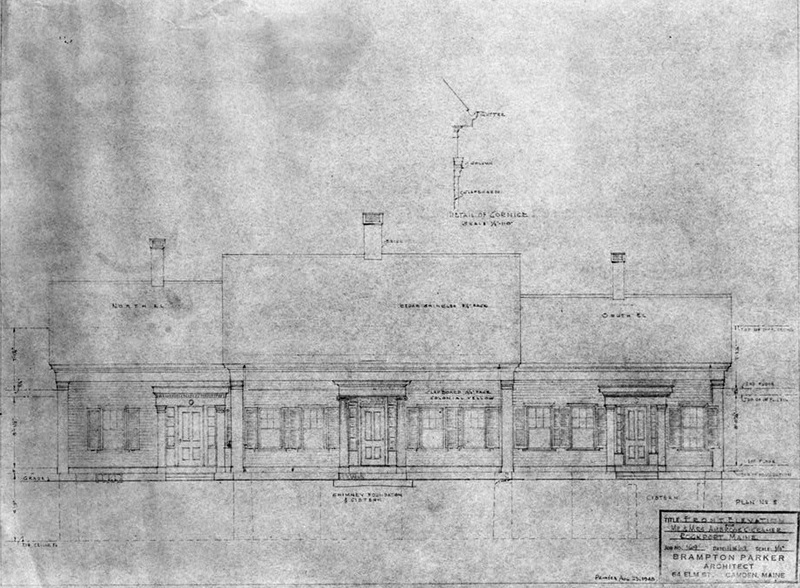 The other set was purchased in 1948 by Mrs. Ambrose Cramer, the daughter of Arthur Meeker, head of the Armour meat packing concern in Chicago, and sister of writer Arthur Meeker Jr. She and her architect husband, who had worked in David Adler’s office, after many years living abroad, had purchased an attractive Greek Revival sea captain’s house in Rockport village, which they then moved to a lovely setting on the harbor, reworking the floor plan completely to create an elegant summer house, while maintaining the integrity of the exterior. 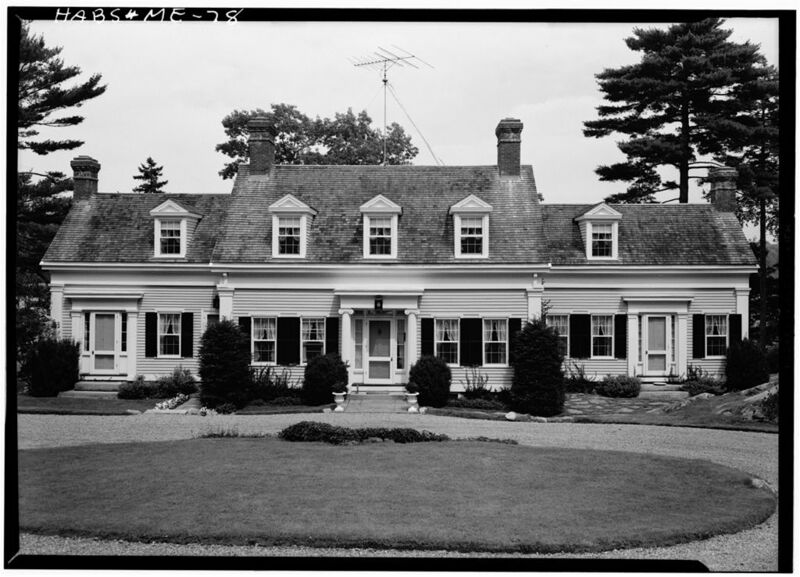 Of elegant and cosmopolitan tastes, the Cramers filled their house with soigné possessions from their European life—Italian and French neoclassical furniture and faiences, an 18th century Bossi work mantel in green and white—and the wallpaper murals in the dining room, their painted European bays and shores echoing the Maine waters just outside the windows. 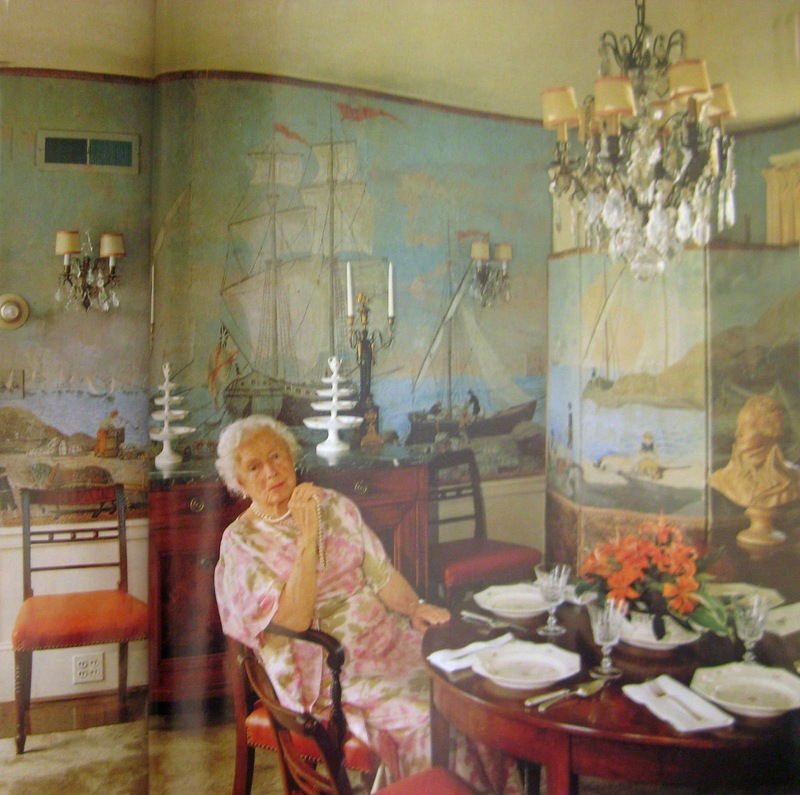 Mary Meeker Cramer in the dining room of her house in Rockport, Maine, c. 1984. The screen can be seen in the left background. The table and sideboard are set with a lovely set of 18th century del Vecchio faience purchased by the Cramers on their honeymoon. (Photograph by Arnold Newman from Town & Country by way of Smilla4blogs) PS. the wall is not curved—it is the curvature of the magazine page. One of the Dilettante’s pet peeves is photos across the binding gutter in books or magazines. Pay attention book designers! The Cramers gave the house a polish that it had previously never aspired to. Proud of their lovely creation, they placed it on the National Register of Historic Places. Unfortunately a National Register listing has few teeth, and after Mrs. Cramer’s death, the contents went up at auction, including the screen, separated from its paper in the dining room, luckily, as things transpired. 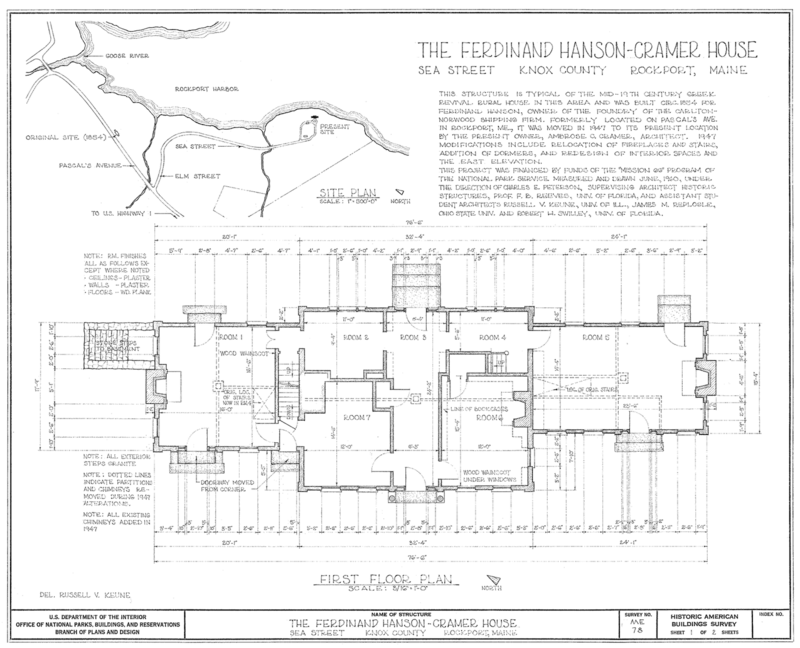 The house was sold to a tycoon on whom the scale and subtleties of the old Hanson House were lost. Down came the house, and up went the predictable gargantuan and overwrought McMansion by the sea. A salvage dealer from Rockland saved the mantels (only to shatter the Bossi work mantel from careless handling), the porch columns, some doors, the 18th century chandeliers—and the dining room paper. Age had taken a toll on the paper’s condition, and careless handling exacerbated the situation. The salvage dealer also suffered from a mighty case of hubris, and became so convinced of the paper’s value that he rejected all estimates from the major auction houses, even while the paper continued to deteriorate, and after a break up, it apparently went to auction in upstate New York, and failing to sell, back to his ex-girlfriend’s barn. At the auction I bought everything I could of the Cramer’s lovely things—the screen graced the shop for only a couple of days before heading to a new home on Cape Cod. 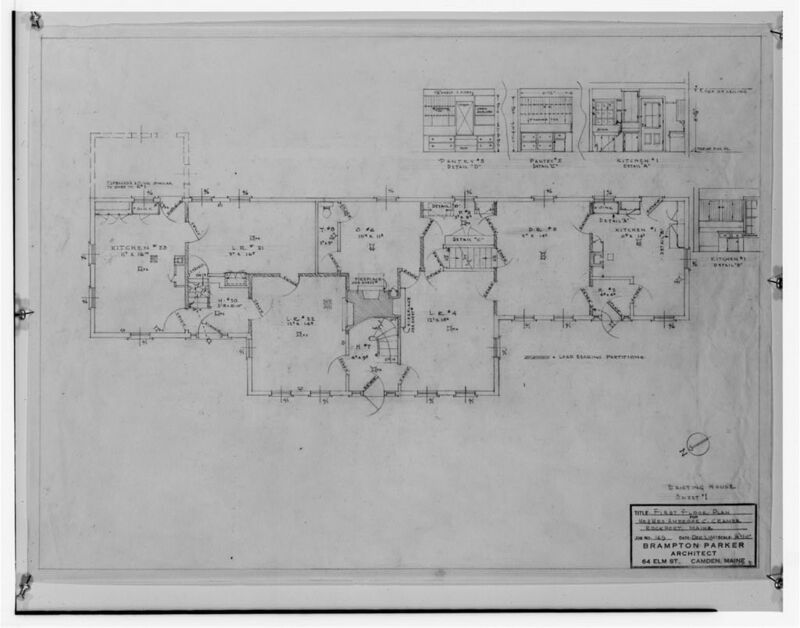 Ambrose Cramer was the very model of a gentleman architect. 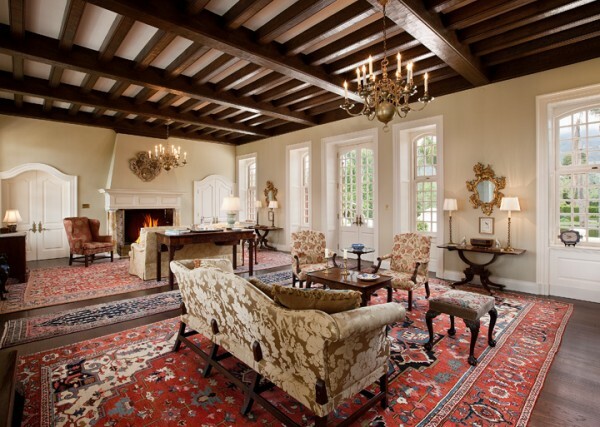 He grew up in a grand house built for his industrialist father in Lake Forest, married an heiress, and combined a distinguished manner with superb taste. In Maine he became a major force in the historic preservation movement. 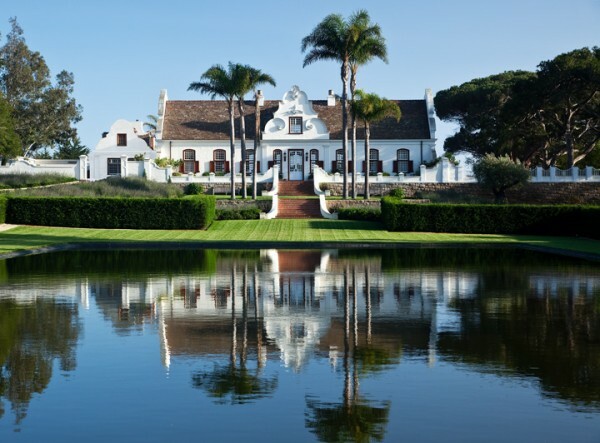 He cut his professional teeth in the office of the great David Adler, and worked on several of Adler’s greatest commissions, including the Cape Dutch house in Lake Forest for the Richard Bentleys. 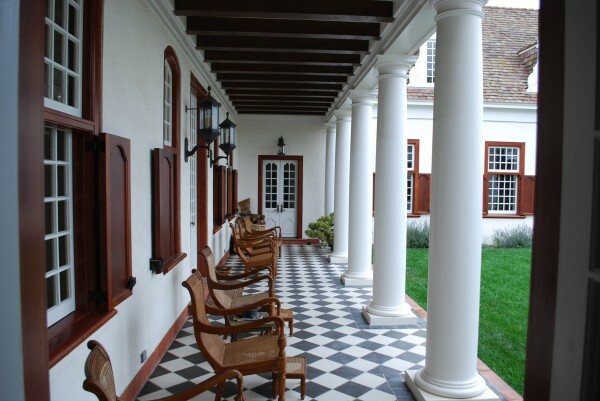 In 1929, Cramer designed one of his most famous works, in a more literal translation of the Cape Dutch style, Constantia, a winter home for his parents-in-law in Montecito California. Wow – a lovely house. I didn't know the Cramers had lived in Maine, I knew they had lived in Lake Forest at one time and in Montecito. In the 80's I had some correspondence with Mrs. Cramer who was still alive and living in Arizona. Even at an advanced age she could write a charming letter. I love that your posts leave no detail unexamined. They're always such a pleasure to read.And I do hope you made a pretty penny on that screen. well we all know money doesn't buy taste. What a charming house and that photo of Mary in the dining room is perfection. I have those same wine glasses and it always makes me feel good to see my taste vindicated!hahaAnother brilliant and well studied post,thanks for being the bright spot on my Friday morning! Beautiful, as is your obvious love of what you do. Chip, Mrs. Cramer was indeed a charmer…they really don't raise 'em like that anymore.Raina, I blush at such praise from you—sometimes I just get stuck in the details, actually.Stefan, your posts often make my day, glad I can humbly return the favorHobac, I still love the decorative arts, but the hard truth, and almost any dealer will agree with me, the antiques business isn't the fun adventure it used to beAnonymous, all too trueMagnus, I once had, but naturally couldn't find when I did this post, a writeup about the paper from Shelburne, when they still exhibited it in Vermont House as part of Mrs. Webb's concept of the rich sea captain, since dismantled. It told the tale, including, "I think" the name or at least region of the chateau whence it came, and the tale of Mrs. Webb and Mrs. Cramer dividing the set between them. As for it's primitive quality, it is what is known in the trade, as 'scenic quality'. 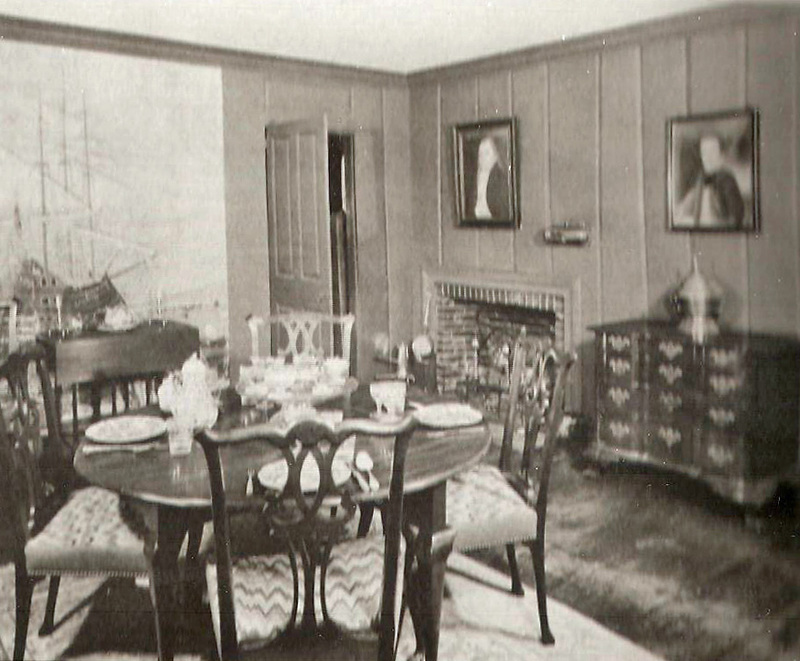 Part of what makes it look so bold is that in both Shelburne and the Cramer house it is being seen in much smaller, lower rooms, is being viewed at tighter and closer range than originally intended. And the French 'Bay of Naples' papers that came out only a few years later have much in common with these.And I second your rousing plea to our readers to visit and enjoy some American treasures, of which Shelburne is one of the most entertaining and diverse of its type. I feel so fortunate to have had a quick Dilettante sighting and a moment to discuss this wonderful post with you! I would have loved a chance to photograph Mrs. Cramer's beautiful room.The Shelburne is not to be missed! So enjoyed your moving papers capers. You've become the Maine Man! Once more you have detained me far longer than I intended but clearly not against my will. Visited your links too and just enjoyed it all enormously. Wish I could think of some better contribution than this, however. 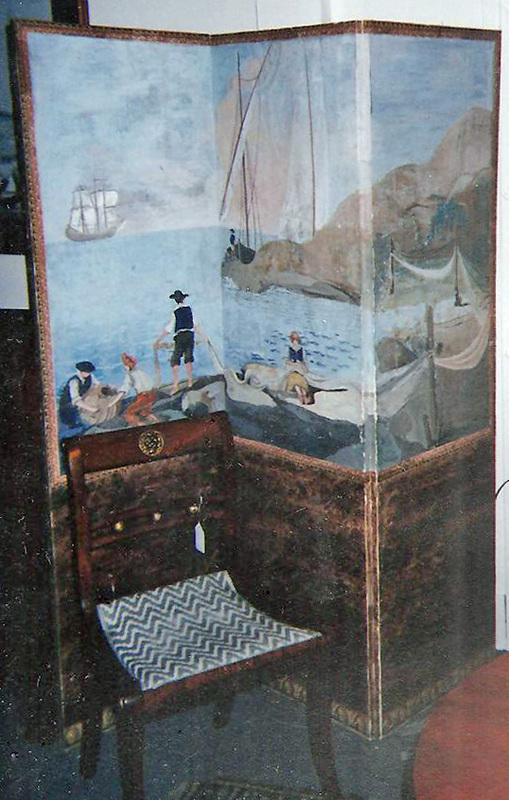 I love hand painted French scenic wallpaper. This set is beautiful!! !